When looking for the best method for protecting your vehicle with rust proofing services, the Rust Check approach continues to rank at the top of the list. Rust Check is a top of the line protector for the body, panels, and all metal components of your car. The product itself comes in the form of a pressurized spray that is perfect for reaching all the hidden cracks and cavities in your vehicle. This includes those difficult to get at parts like seams, folds, welds, and joints that can be found hidden away inside the sections of the car’s body. The reason the Rust Check product works so well, is because it is very light weight and fluid in nature. It also contains a mixture of special additives that actively help protect your vehicle. How does the Rust Check spray work? The Rust Check spray is a very efficient and effective rust proofing product for several reasons. The spray works to protect the metal components of your vehicle by expelling moisture and covering metal surfaces with a light coating of active corrosion inhibitors. The forms a secured and sealed layer to keep rust out. Since the formation of rust is caused by prolonged exposure of oxygen and moisture to a metal surface, the Rust Check spray stops rust before it has a chance to start. How is the Rust Check spray applied? The product is applied using a specialized method that involves a two-step process. The procedure uses two steps because your vehicle has different parts and components that may need a different approach and products. The first step involves a careful application of the Rust Check spray to all the areas inside the body panels that are difficult to reach. The penetrating and permeating spray gets at the crevasses and crucial areas like joints and spot welds that can cause serious problems if they start to rust. I have actually witnessed a car door falling right off because a connective joint was completely rusted out. Rust Check services are not just to keep up the appearance of your car, but also to keep it intact and performing at a high level. After all the hard to reach spots have been attended to, the next step is to coat and protect the undercarriage. During this stage a coating will be applied to the exposed areas underneath your car. This forms a moisture resistant adherent that that is resistant to cracking and peeling. Why use Rust Check instead of a rust proofing sealant? There are lots reasons and arguments in favor Rust Check rust proofing over applying a thick sealant to keep the rust out. Where can I get Rust Check rust proofing services? 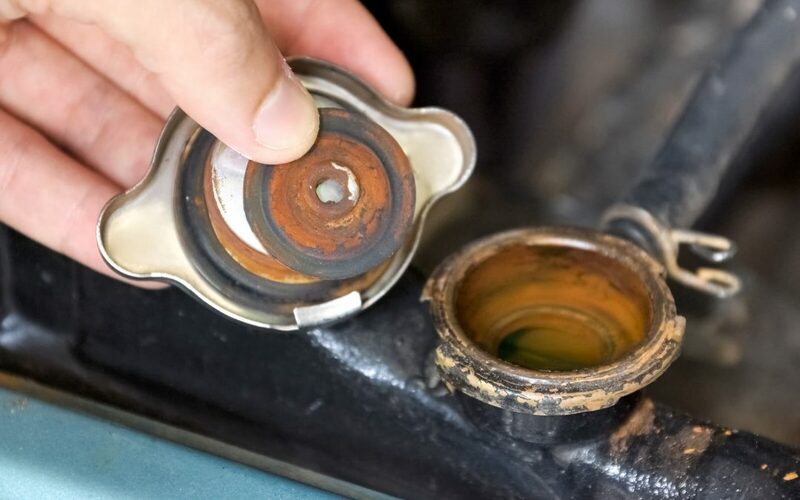 An excellent resource for Rust Check services, as well as many other automotive services, is Valvoline Express Care in Brampton. The Valvoline Express Care Centre in Brampton provides full Rust Check services for your vehicle. The expertly trained technicians go through a rigorous Rust Check process to ensure your vehicle receives the ultimate protection against rust and corrosion.